There are the streaming boxes options, which charges a subscription rate (such as eJoinTv or MaigeTV), which aren’t exactly cheap and furthermore, is also suspect on their sustainability. They may just shut down in a couple of months time, so there’s always a risk there. They are also basically Android boxes running the app and a subscription cost of approximately US80 per year. If you have a spare phone capable of HDMI out or an Android TV stick, you can try them out as well, some things to search for are: CloudTv.Bz and AsiaDVB. 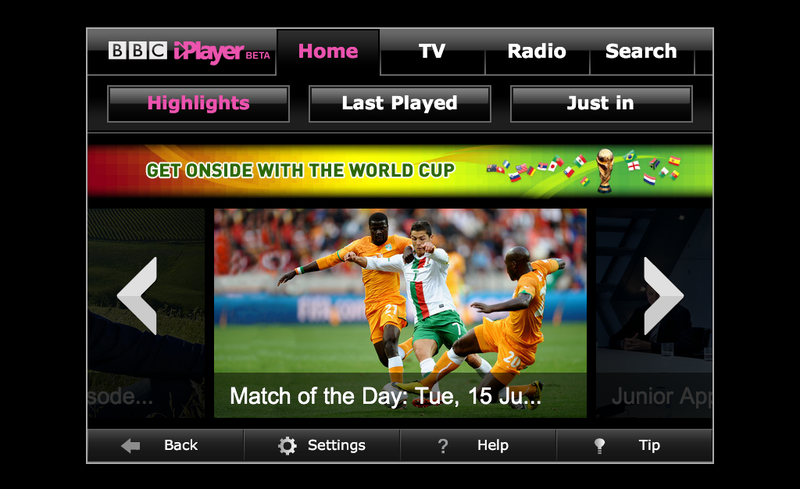 There are free channels and trials, especially on CloudTV, which may suffice for World Cup. CloudTV comes with a paid subscription – about US$5 for every month. They offer both English and Chinese channels – and you can just subscribe for a month as well. HWZ has a very good post covering IPTV solutions – but my personal experience with the Brazil – Croatia game on 13 June was that only CCTV channel was working. I couldn’t find an alternative english commentary channel and I reverted back to a DNS service. Alternatively, I have also been getting my soccer fix through Sopcast / Acestream and other online streams – you can easily google for them, and while they work, they are a good source of frustration too. Especially AceStream with frequent hiccups and misses. I am not sure, perhaps it could be Starhub only, but my streams tend to be rather jerky and have problems connecting to peers. Sometimes, it would slow down after 15-30 minutes and I am off hunting for an alternative solution. So how about a paid VPN or DNS service? Yes, those could work, especially considering that a large number of other countries actually will screen the world cup on free-to-view television – such as Malaysia, RTM-1, UK – BBC, Hong Kong – TVB etc. You can also google for live streams of these TV channels but some of them are blocked due to geographical access. E.g. for RTM1 – there is no live stream of world cup on RTM 1 and only available on terrestrial signals. But most practical VPNs are US-based VPNs and that would only leave with a number of options such as ESPN, Fox Soccer, which are paid options and ABC. FOX Soccer 2Go: This is a US subscription-based streaming service devoted to all things Soccer and Rugby. They’ve maintained solid coverage on this upcoming World Cup, so you can be certain that FOX Soccer 2Go will stay on the ball when the real action starts. There’s even a Watch on Demand function in case you miss the game you want to see. It all depends on whether or not you want to pay the subscription fee and you would still need a VPN-US based. UnoTelly (which I blogged about before and liked their service) is going to offer free DNS access to streams for FREE. During the World Cup 2014 period, UnoTelly will support several online streaming stations which will broadcast the WC games live. Supported streaming stations by UnoTelly which will broadcast the games live. • More channels may be available and updated consistently. 1) Visit UnoTelly landing page specially designed for FIFA WC. In this page, user will be able to see which game is in which channel and also the schedule of all games. Updated link to the UnoTelly Landing Page for Free World Cup. 2) Create a free UnoTelly account. Its like a 40 day trial. 5) Btw – bookmark the page as it has the match schedule and channel links – looking forward to the Brazil – Croatia stream. 6) Once your UnoDNS is configured, also try to flush your DNS cache to ensure that it is routed correctly. Once again, this service from UnoDNS will last the entire world cup FREE. I repeat. FREE. You can get a trial (40 DAYS!) from UnoTelly for 8 Days. Just to test out their services and maybe watch some of the warm up games. I reviewed Unotelly services last year as well. If this doesn’t work out, then use Hola Unblocker (Chrome or Firefox addon) and choose a UK server. It functions in a similar manner, but my experience is UnoTelly service is way more stable. The acid test was for the opening game and despite it being shown on Okto, I tried it out on iTV and the overall experience was great. Clear streams, good commentary, and very stable! There was a slight lag of say 2-3 seconds so I could hear my neighbour screaming each time Brazil scored before it happened on my screen. In a nutshell: UnoTelly bypass geographical restrictions by routing through specific DNS servers. So with one configuration, websites will think you are in the US, UK, Australia, whereever access is required. They have a large number of channels established already. It works great for me for sites such as DramaFever, TVB streams, Pandora etc – and best of all, if you configure it on your router, it is not limited to a specific device – so things like Android boxes etc all work as well. My personal experience: watching the Champions League Final between Real and Athletico on ITV1 on my Android Box. Stream was consistent. In comparison, I also tried AceStream at the same time from e.g. Blood*eed which had its usual spikes and nuances. Cost is US$4 per month, and for just $1 more, they throw in a free US VPN access – so for times when you need to buy good deals on Amazon etc, it will come in handy. Other recommendations? Do share with us here :) Find it useful? Tell your friends on Facebook – Let’s bask in World Cup Fever! where is the source for the free unotelly service during the world cup? can’t find it anywhere. I will also be updating the post with more information soon. would you be able to teach us how to configure our router? as i do not have a android box. Only laptop and Ipad. Hi, sure – what router model are you using? if the router doesn;t work, but laptop does, you can always do the same for your ipad too. hope it helps! Hi Alex, iTV is free. I watched it this morning for the Brazil – Croatia game. It was awesome. I thought quality was better than Okto, a Singapore Channel showing only four games. hi there, would u need the unblocker to bypass the restriction on iTV? If you use Unotelly, then that’s all you need. Hi Sean. I have set up the UnoTelly account and configured my DNS on my iPad. My iTunes account is Singapore’s and there’s a few suggestions when I search for iTV but not specifically listed as “iTV Player”. Do I need to setup a UK iTunes to download the iTV Player? Thanks! make sure you use a UK postal code – google for ones in London, monopoly knowledge helps too – piccadilly square, regent street, mayfair for example.. I only use the web for that purpose, and obtain the latest information.